Ham Radio AC Power Outage Automatic Power Disconnect | The Wonderful World of Microcontroller! The Experiment: In this experiment were going explore the use of a power disconnect relay ahead of a surge protector to automatically disconnect AC power during a power brownout/blackout. Have seen some severe power surges at the onset of a power brownout/blackout, and could never turn the power switch Off fast enough to protect the ham gear from being damaged. 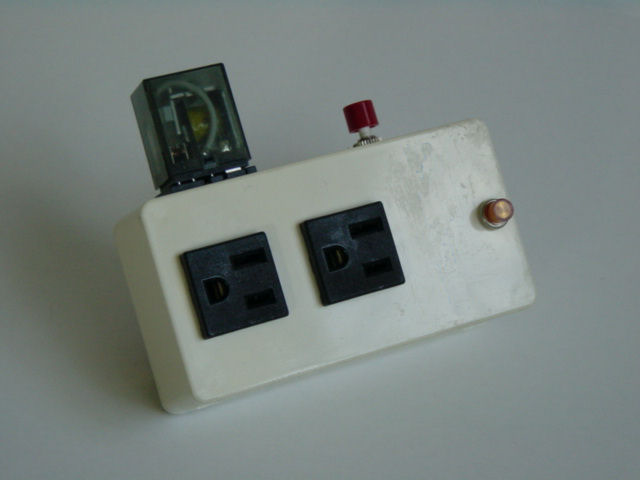 Using a dropout relay to disconnect AC power at the occurrence of a power brownout/blackout is nothing new, in the old days you could purchase a power strip/surge protector with a power disconnect relay. The circuit in the schematic below will automatically disconnect power to the equipment when a power brownout/blackout occurs. Once’s power has been restored, pressing SW1 will restore power back to the equipment. Installed a power disconnect relay ahead of a power strip/surge-protector. Have used the above power strip/surge protector with the installed power disconnect relay for the last year and it has worked well disconnecting AC power at the onset of a power brownout/blackout.